China Eastern has dropped the price of their flights from Vancouver to Macau down to $383 CAD roundtrip including taxes. The flights have 1 stop each way in Shanghai, China (7 hour layover on the way there, 6 hours on the way home). 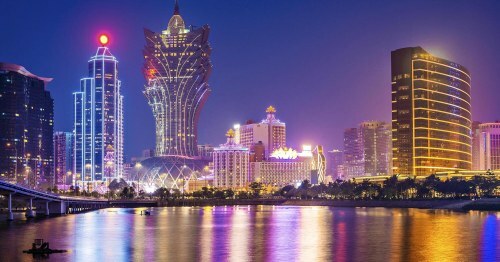 If you're tired of Vegas, but want to try somewhere else that's gambling-oriented, these flights to Macau aren't a whole lot more than the cost of a typical roundtrip flight from YVR to LAS. But they're also a much longer flight! vancouver, yvr, flight deals, asia, east asia, china eastern airlines, hong kong, macau, mfm and macao. One Response to "Vancouver to Macau (aka the Vegas of Asia) - $383 CAD roundtrip including taxes"